Another page of goodies, generously donated by Kenny Tosh, from the collection of photographs and memorabilia that he inherited from Don Allen. “Caroline's men of a new breed” as they were described on a popular station jingle. 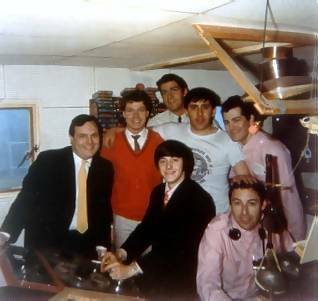 The 1967 line-up, left to right: David Williams, Nick Bailey, Jerry King, Don, Mick Luvzit; front: Tony Prince and Jerry Leighton. 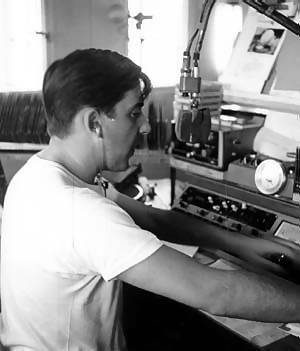 During the early seventies Don worked for Radio Northsea International off the Dutch coast. 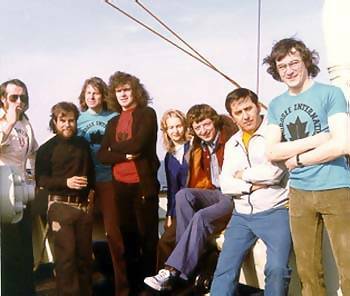 This 1973 picture shows, left to right, Brian McKenzie, engineer Steve Berry, Graham Gill, Arnold Layne, Sheila and Mike Ross, Don, Ian Anderson. 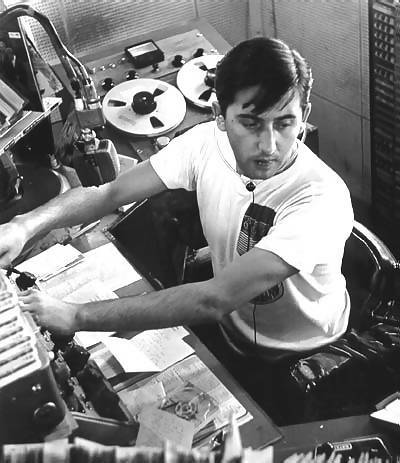 Don in the Caroline North studio. 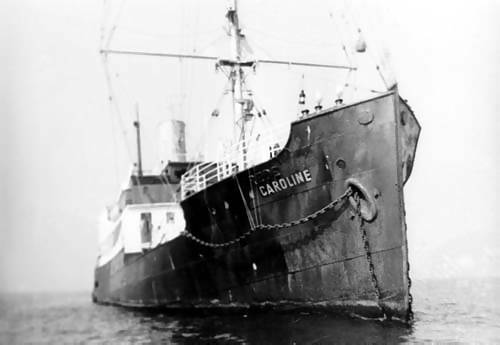 The Caroline North ship, mv. Fredericia, November 1965. 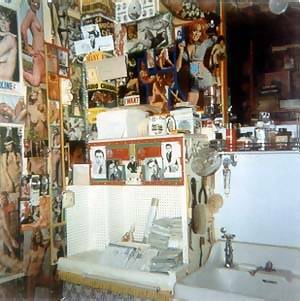 Don's cabin on Radio Caroline, showing just part of his substantial collection of pin-ups. 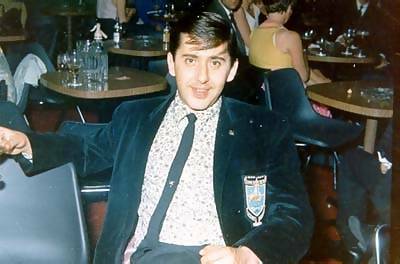 Don in an Isle of Man casino, 14th August 1967. 1973 fan club car sticker. Many thanks to Kenny. Back to the previous page of his collection. See also Norah Barnes' collection.